More than half of Angelenos are affiliated with religious groups. And they range far and wide. We oppose the name change for Los Angeles Memorial Coliseum. 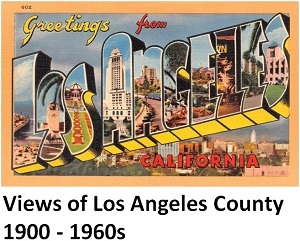 Yet another case of gross indifference towards L.A.'s past. From the Herald-Examiner Collection at the Los Angeles Public Library. 1921. About 2,000 people attend the first sunrise service held March 27 at the Hollywood Bowl. Two years earlier, the first Los Angeles outdoor sunrise service was held at Whitley Heights and, in the following year, the second service was held at what was then known as Olive Hill (present-day Barnsdall Park). However, for 1921, the Los Angeles Philharmonic Orchestra service would be introduced into the service and a location was needed to accommodate a large crowd and provide excellent acoustics for the orchestra. As the organizers (then Art Alliance and Community Park and Art Association, now Hollywood Bowl Easter Sunrise Service Committee of the Hollywood Bowl Association) searched for a location, they came across a site in the Mulholland Hills then known as Daisy Dell that proved to be ideal. It was described to be like a “bowl,” thus giving the location its famous name “Hollywood Bowl.” The organizers purchased the land that year and deeded it to the county in 1924. The iconic shell was added in 1926. Although many believe Pentecostalism spread from Jerusalem long ago, its modern version spread from Los Angeles. Located in Los Angeles, home of the largest gang population in the world, Homeboy Industries works to infuse hope in gang members and provide them with a community where they can transcend gang life and thrive.